Dynaspede builds standard and custom control panels for a variety of end markets, partnering with you from the initial concept stage through integration and final system assembly. 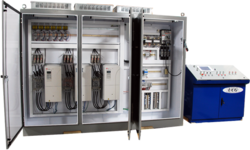 Dynaspede provides custom control panels with application-specific control modules that are designed and built to customer specifications. Multi drive panels...etc from India. We have state of art fabrication facility includes CNC turret punching, NC bending and paint shop for manufacturing the fabricated panels in-house. Dynaspede's broad experience and in-depth knowledge enables it to manufacture consistently high quality custom or standard control panels. Compliance with customer drawings and specifications is achieved by reviewing the drawings and questioning all anomalies before fabrication is started. The panels are thoroughly checked before shipping. We encourage the Client to participate with all of the panel checkouts. 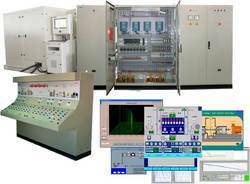 We are an eminent organization engaged in offering our reliable patrons a range of Automotive Instrumentation Panel. Our offered panel is manufactured using the finest quality components and ultra-modern technology in line with set industry norms. 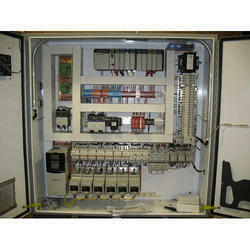 The provided panel is widely used in automotive industries and auto ancillary units. We also provide these panels along with test-benches in various technical specifications to meet different demands of client's specific application requirements. 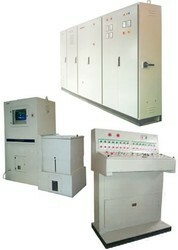 We are offering the high-quality collection of Automation Control Panel to our valuable customers. 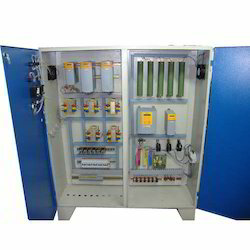 This offered control panel helps to maximize investment by allowing atomization of electromechanical industries. Offered control panel deliver optimum performance with considerable low energy consumption and are easy to install and operate. 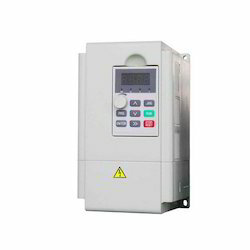 We are a renowned and customer centric firm for offering a comprehensive range of AC Drive. These come with features as pre-heat functions, flying start, boost pump control and quick start ability. The pre-heat function of this drive protects the motor from moisture accumulated on its surface. Apart from this, this product is available in various specifications to choose from. A wide range of control options is available for diverse applications demanding basic testing to advanced automated control, data acquisition and post test analysis. A powerful software system with an easy-to-use intuitive graphical user interface integrates a test report system as sought for R&D, quality audit and other load test applications. An unmatched range of electronic drives … from simple eddy current drives to hi-performance digital drive systems and point-to-point servo systems. High performance Planetary / helical gearboxes or combinational gear systems and high precision, low back-lash gear heads. For speed, torque, tension, force and vibration measurements. Distributed and integrated control systems... from analogue to digital designs including DSP based controls with third party PCs / PLCs and custom-built software. 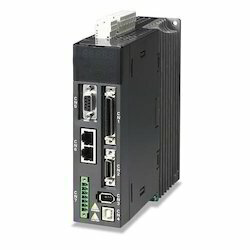 To meet the various requirements of the customers, we are involved in offering a wide assortment of Servo Drive. 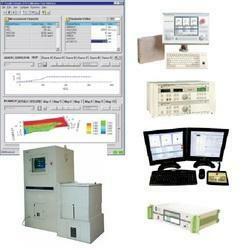 We are providing a qualitative range of DC Drive Systems. Available in different specifications, this is used extensively in varied industries like textile, printing, and in semiconductor production. These offered systems are used to control velocity, pressure, and position. Moreover, we offered these products at very reasonable rates.